Russian billionaire Roman Abramovich has some big plans for his new Manhattan home. In fact, it has just been four months since New York City approved his mega-mansion plans and he has decided to go even bigger by buying the fourth townhouse in a row on the Upper East Side. Originally, the Russian tycoon planned to turn 11, 13, and 15 East 75th Street into an 18,000 residence by combining the three townhouses into one enormous house. Now, he's also purchased 9 East 75th Street as well and plans to use 9, 11, and 13 for his new home. It is not clear what Abramovich plans for 15 East 75th Street. A source close to the project's architect said that Abramovich felt using 9, 11, and 13 for his home would make a more symmetrical, balanced façade to the structure. The fourth townhouse is the largest of the group by far. Abramovich paid $18 million for the 13,176 square foot property located at 9 East 75th. The townhouse at 11 East 75th Street cost him $29.7 million for 9,495 square feet, while 13 East 75th Street was $30 million for 8,116 square feet, and 15 East 75th Street's 7,286 square feet came with an $18.3 million price tag. Abramovich has wanted to build a mega mansion in New York City for years. Back in 2014, he tried to buy Berwind Mansion, a 15,000 square foot triplex on Fifth Avenue. The owner would not sell the property to the Russian oligarch. In 2015, he started his buying spree on East 75th Street. The original plans for the remodel and combining of the three townhouses was denied by both the New York City Department of Buildings and the Landmarks Preservation Commission. Those plans called for redesigning the exterior facades so that all three facades were the same. After those plans were rejected, Abramovich's architects resubmitted them saying the facades would only be renovated to repair wear and tear. The architect also plans to add a central atrium to the home as well as a pool that will span the width of three townhouses, a double high art room, a rooftop kitchen enclosed in a greenhouse, and a bidet in every bathroom. That plan was approved this past summer. However, now the architects will have to start over and submit new plans to include 9 East 75th Street on November 14th. This latest revision to his Manhattan mega mansion plans comes about two months after he and his wife Dasha Zhukova announced their divorce. Abramovich and Zhukova have two children together. Their divorce could be one of the most expensive divorces in history. New York City Mayor, Bill de Blasio, has expressed his distaste for Russians planting roots in his city, saying that Russians like Abramovich "basically stole the wealth of their country with the help of their government" and are now using that wealth to snap up a lot of property. Abramovich has been credited with helping make Vladimir Putin the Russian President. Irina Abramovich Net Worth: Irina Abramovich is the ex-wife of the Russian business tycoon Roman Abramovich who has a net worth of $232 million. 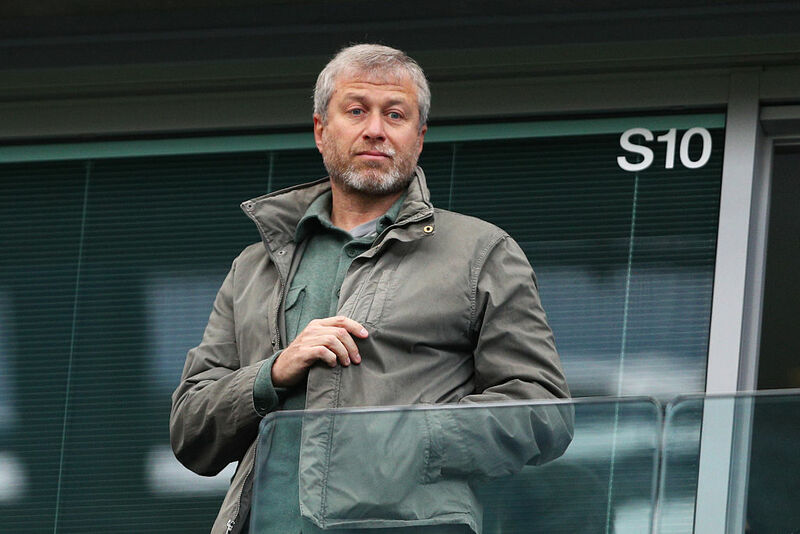 Extravagance is the key when it comes to Russian billionaire Roman Abramovich's spending habits – from homes to cars to yachts to airplanes and more! Russian billionaire Roman Abramovich has some big plans for his new Manhattan home. He is planning to combine three historic townhouses on East 75th Street into one 31,500 square foot home, which would be the largest single family home in Manhattan.